Bold words greet visitors to the website for A to Z Wineworks in Newberg, Oregon. I was waiting to meet my wife at one of our favorite dining spots, La Vista, in Houston. La Vista serves wine but is also well known for their casual, BYOB attitude. I decided to pop into Fountain View Liquors and Wine, located next door. Their Wine Consultant, Bart Wallace, came out from behind the counter to greet me and help me find something suitable for tonight’s meal. I told him I was interested in a Pinot Noir but wanted to keep it under $20, if possible. 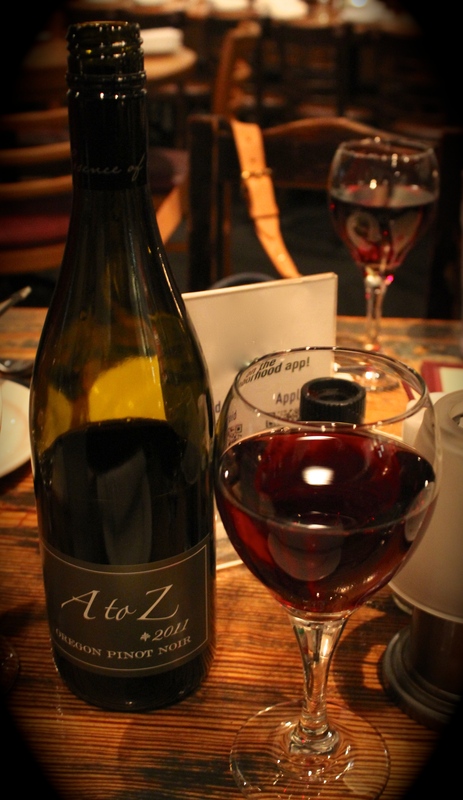 He introduced me to a 2011 A to Z Pinot Noir, explaining that this wine is listed as #55 on Wine Spectators Top 100 Wines of 2013 and the inexpensive price (about $19) belies the excellent quality of the wine. Of the 2011 A to Z Pinot Noir, Wine Spectator says, “This sleek red is tightly packed, with delicate layers of cherry, tobacco and cocoa flavors that mingle against refined tannins, persisting pleasantly on the light-stepping finish.” Sounds good, doesn’t it? I’ll make a point of getting another bottle soon and I’m also really looking forward to picking Bart Wallace’s brain about some more wine. He’s at Fountain View Liquor & Wine Thursdays through Sundays. He also hosts wine tastings at a local HEB. Discover more about A to Z Wineworks at http://www.atozwineworks.com . Fountain View Liquor & Wines is located at 1932 Fountain View Dr., Houston, TX 77057. Their phone number is 713-782-6770. Give them a call and ask for Bart. I wouldn’t mind having a glass. Well, it IS good stuff – and inexpensive 🙂 Thanks for stopping by!